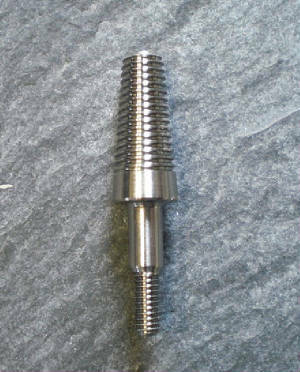 Glue in titanium adapters are used to vary weight and convert 5 degree broad heads to a screw on insert. Our 50 Grain titanium adapter is a full sized 21/64 diameter broad head adapter. 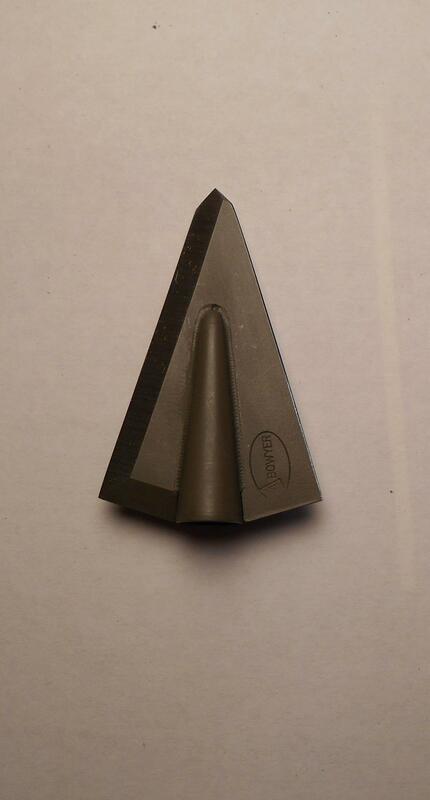 With it being 21/64 it fits nicely up into the ferrule but also still hangs out the back to allow any arrow size. If interested please give us a call 616-677-5850 or email us through our contact us email page. If interested in purchasing something from this page please send us an email or give us a call. We can do credit card over the phone, check, or can send you a PayPal request. Our new garage sale page is where you can find heads that are being sold at a discounted price. Possibly they are being discontinued, or they have a minor flaw and we cannot sell them new. Take a look you might find what you want for a much lower price!